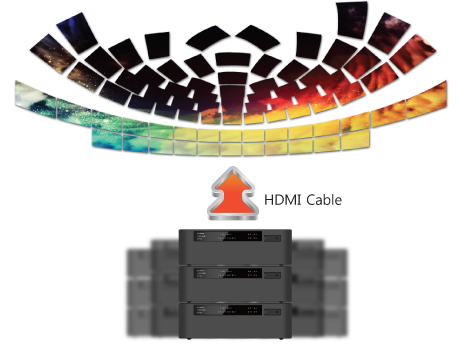 for professional demonstration aid such as showroom, TV retail store and advertisement. 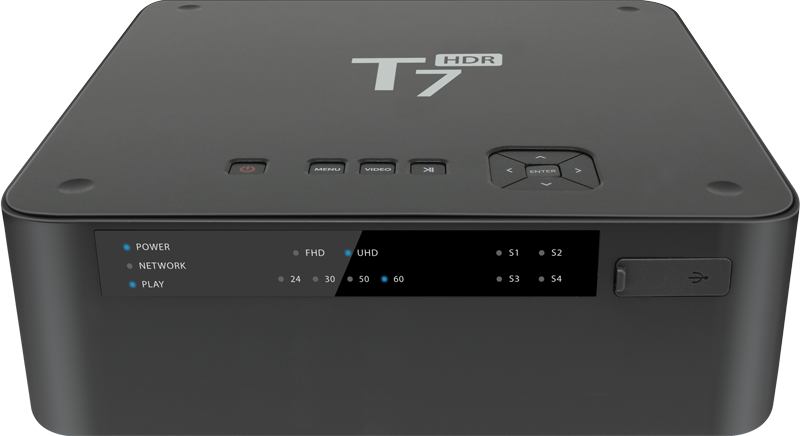 T7 HDR supports 3840 x 2160 UHD(4K60p 10bit) in Max. 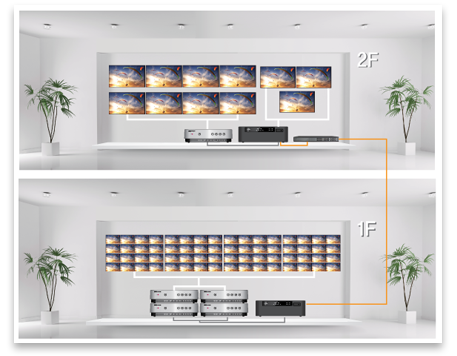 It provides a clear and sharp picture and is being used for exhibition, retail shop and showroom. 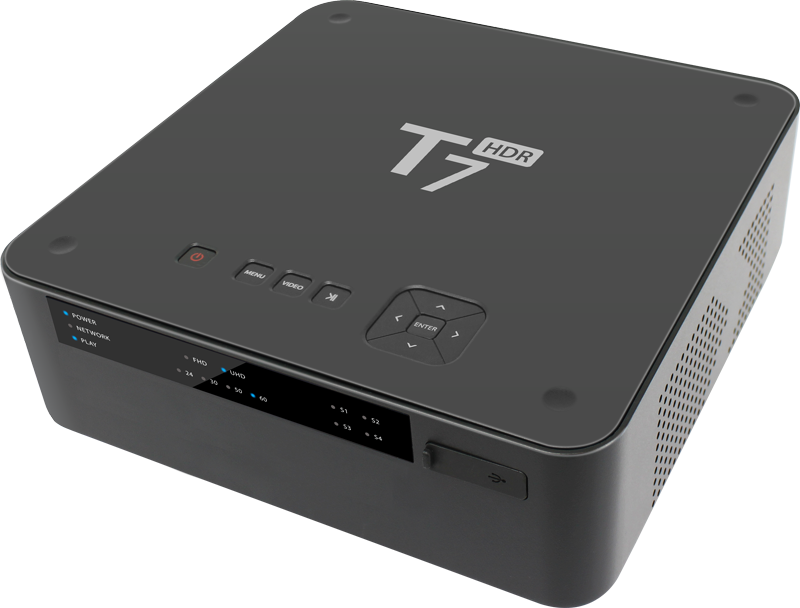 T7 HDR is capable of delivering HDR contents data to TVs. 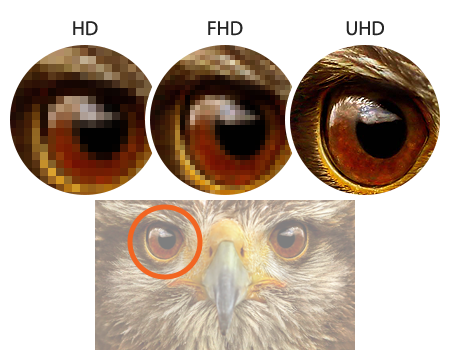 Possible to support various resolutions and files including up/down-scaling. 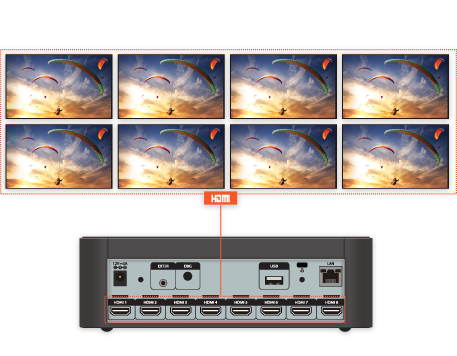 Possible to support 8 UHD displays simultaneously in Max. 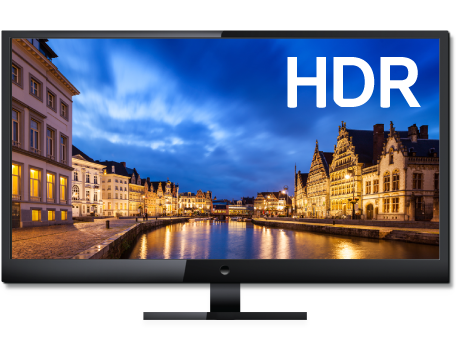 You can compare HDR vs UHD signals to emphasize HDR quality. 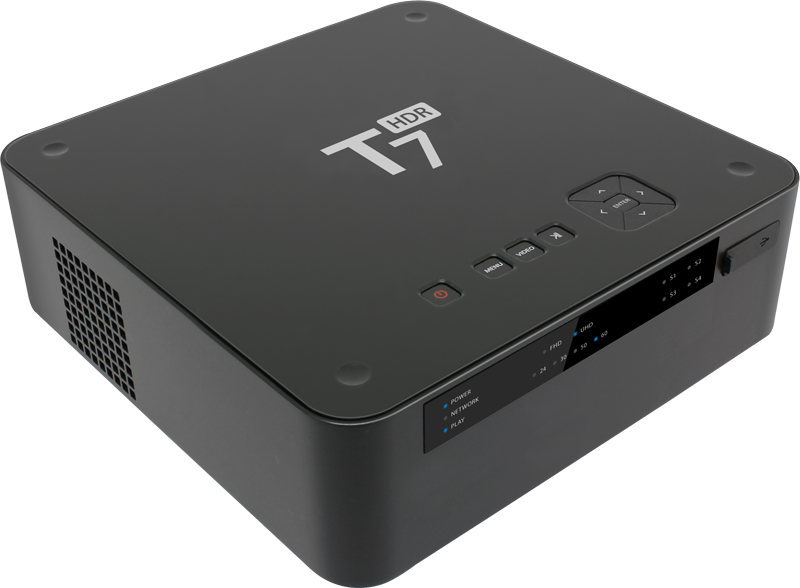 Available to make video art display. 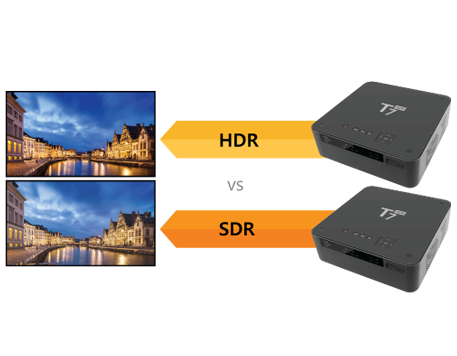 You can make multivision displays to connect TVs and T7 HDRs for video art. 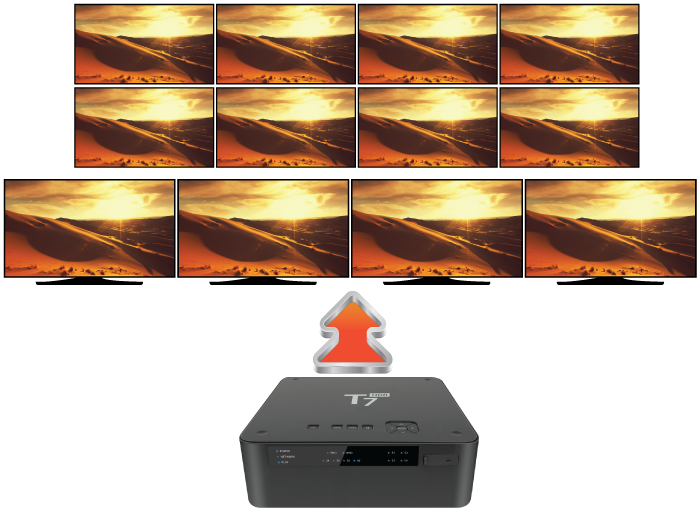 Possible to display TVs in remote place at the same time. 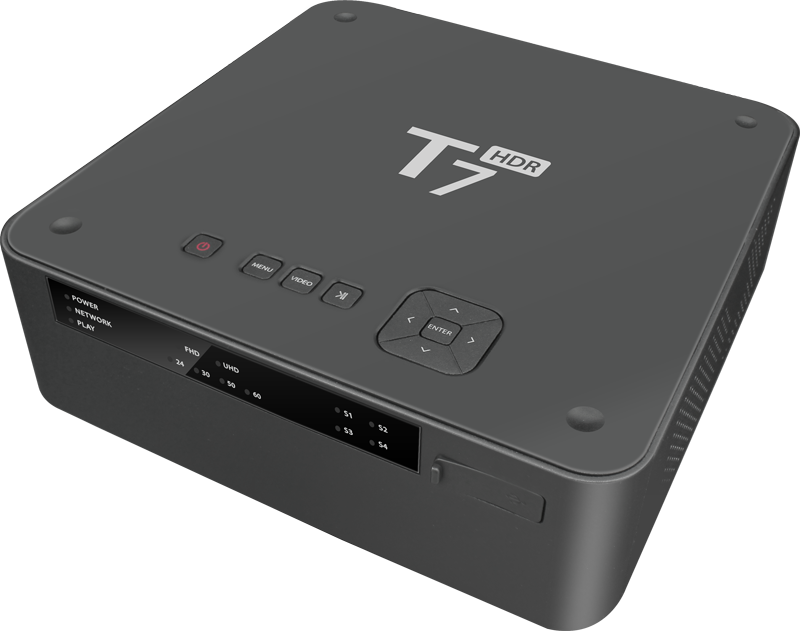 You can play T7 HDR players simultaneously although players are installed in remote place by using network cable. 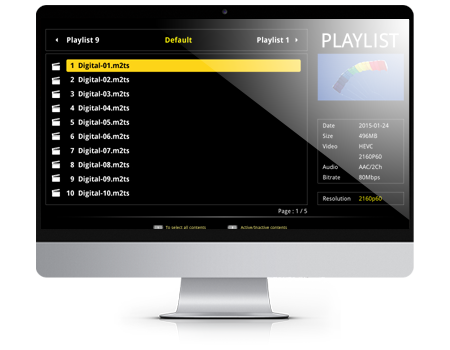 - Playing list management available under subject(10 list available). ※ This specification may change for system enhancement without prior notice.